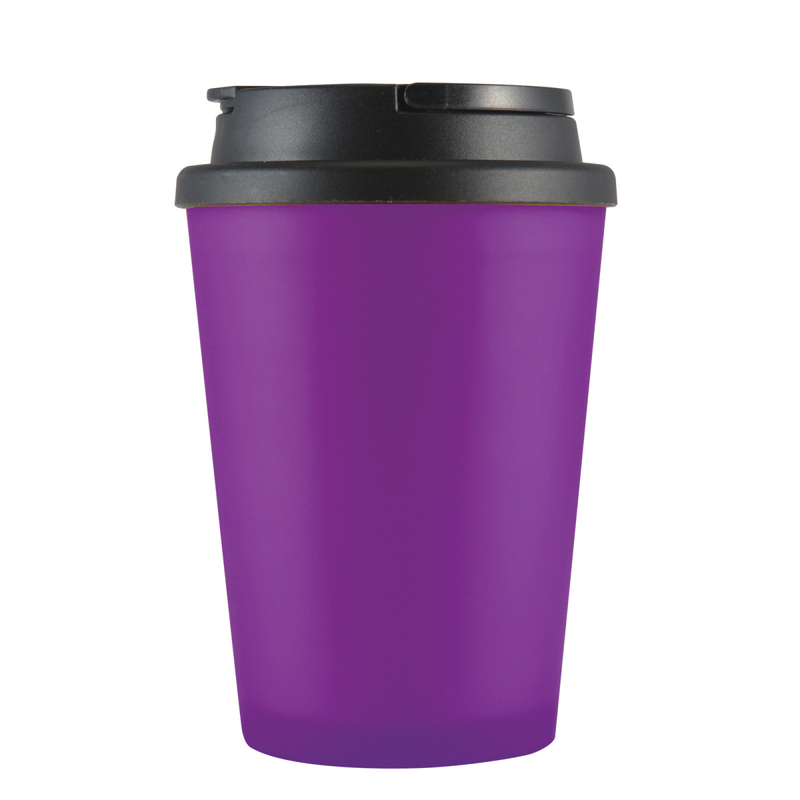 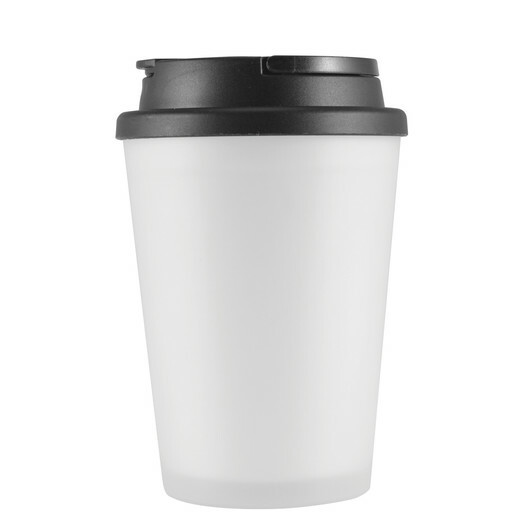 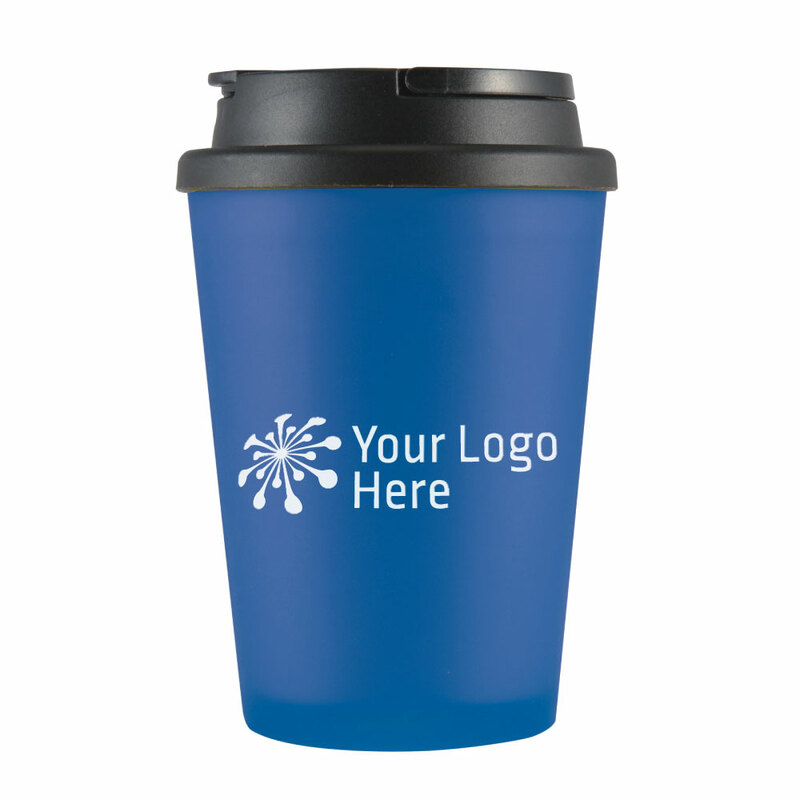 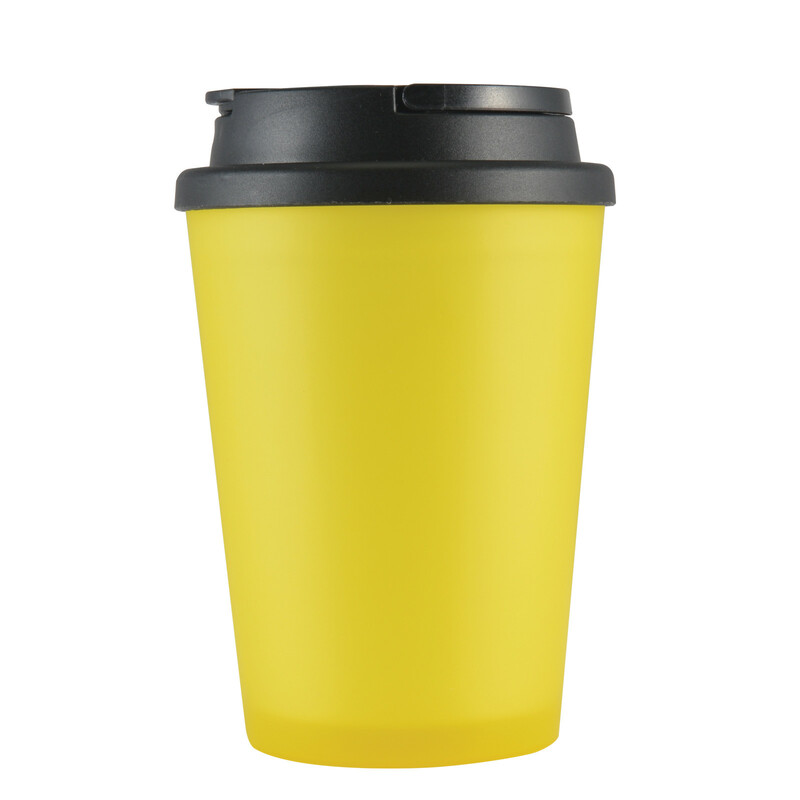 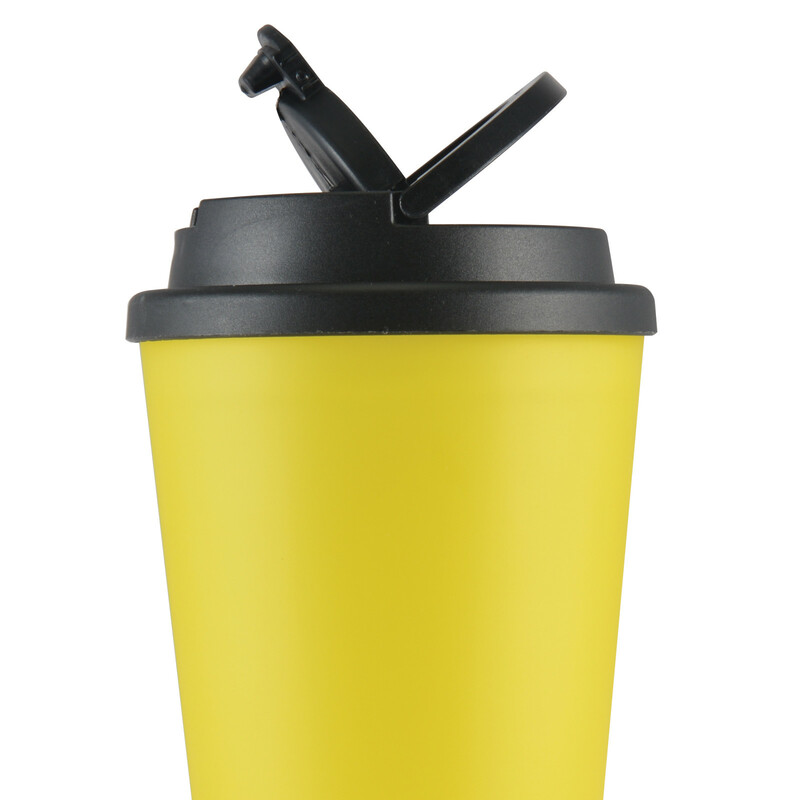 A 350mL double walled eco cup with a practical carry handle. Say no to one off disposable cups and yes to the Bronte eco cup! 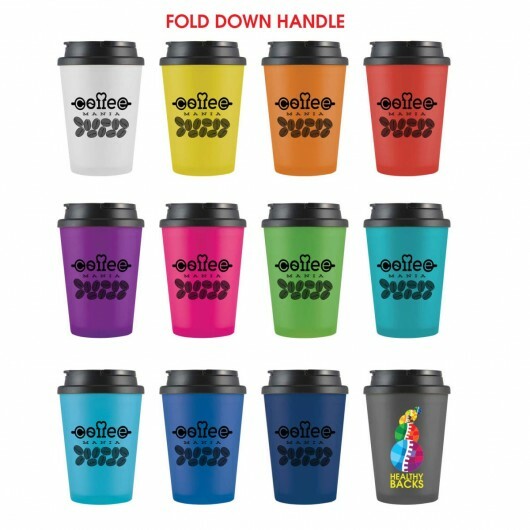 These double walled cups have a capacity of 350mL and come in a great range of eye-catching colours. 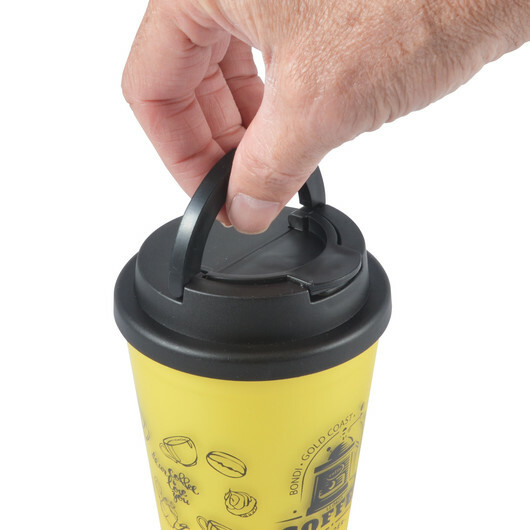 They have a silicone sealed flip up lid as well as a foldable carry handle. It's BPA free and microwave safe (not recommended for dishwashers). We can also supply 170g of mixed eclairs packed into each cup.